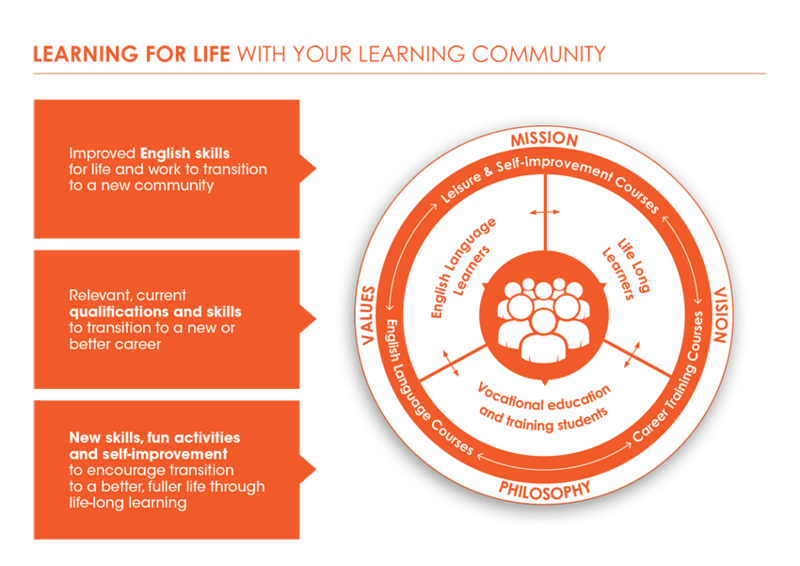 Learn English, develop confidence, and become part of our learning community. Our accredited and non-accredited English Language courses help you prepare for study or work. We teach you skills and strategies for understanding documents, utilising information technology, and developing effective communication. Units from these courses may be accredited towards future vocational courses. Vocational education and training, and courses for leisure and self-improvement are streams that help you transition more completely into life in Australia. In our classrooms, you come face to face with teachers who are skilled at engaging and supporting people with English as their second language. In our learning community you meet people who become part of your social and professional network.